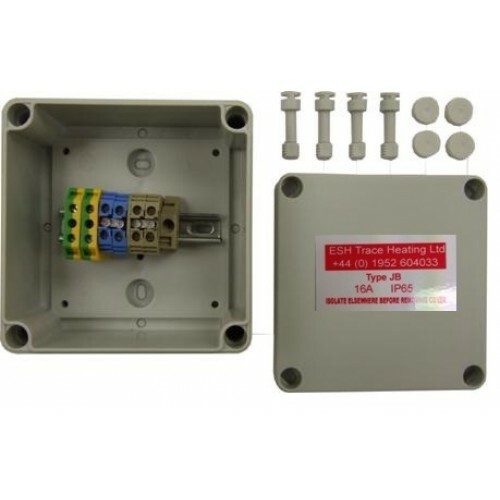 Type JB is a commercial/industrial junction box for use with trace heating tapes and general wiring applications. 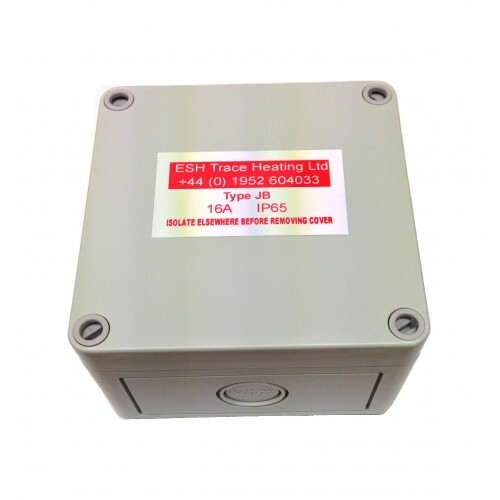 The junction box can be used for jointing and extending our trace heating cables if required. The enclosures are suitable for both internal and external use and are rated IP65. 110mm x 110mm x 65mm in size. The enclosure houses dedicated terminals to allow for connection of up to 4 circuits without the need to 'double stack' any connections. 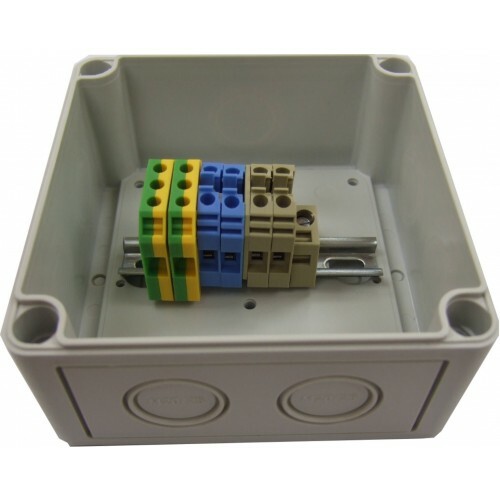 The enclosure has 7 x M20 / M25 knockouts which can be removed quickly to allow fitting of the required entry gland.